Our 2019 HCWCF cycle kit is ready to order for delivery in time for the HCWCF Buffalo Women’s Ride! Beautifully designed HCWCF jerseys, cycling bib shorts and gilets (vests) are available in two striking designs - one orange, one teal and multiple options in terms of fit/style depending on whether you like your lycra race-fit tight or a little more relaxed - with different fabrics to suit different budgets. Shop Online now - store open until 7 April (midnight) for delivery early May. You will also be able to see and order kit at/after the Festival, where we will have some jerseys on display. $5 from each Jersey sold goes to Ovarian Cancer Australia, our Community Fundraising Partner. 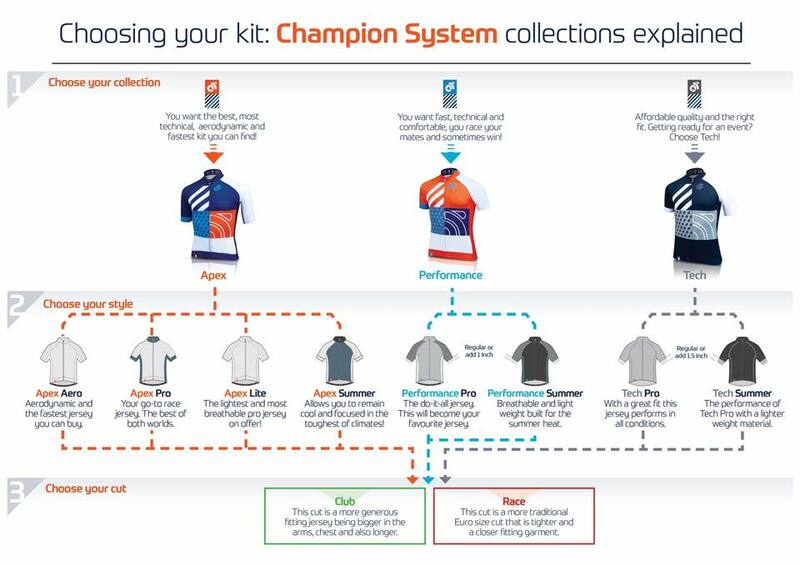 Champion System have made it easy to select the cut/style that suits you and your budget. APEX JERSEY: $174.00, PERFORMANCE JERSEY: $120.00, TECH JERSEY: $90.00; $5.00 from each Jersey sold goes to Ovarian Cancer.